A "stack" is a production term used to describe the process of recording multiple tracks of audio. Stacks can be vocals, keyboards, guitars, strings, or any source where you desire to build harmonies or thickness from a single source. If you're recording a simple double then you'd use a duplicate or new track, but when the talent is creating multiple parts on the fly, such as complex background vocal parts, it can be easier to import a proven template. The distinction is vertical vs. horizontal workflows. For example, if the double or stack is horizontal and continuous from the start to end of the song, you won't need this template. But if the talent is working in small sections then stacking multiple parts vertically before moving on to the next phrase, this template will save you time. Watch this free tutorial to see the stacking templates in action. The templates tackle three challenges that arise when vertically stacking parts. First, the templates allow you to quickly manage the level of the Source mic(s) independent from the stacked parts. The talent often prefers this because it puts the part being currently recorded loudest in their mix. You can manage the Source vs. stacked levels by using the Aux master faders for the stacked parts. If the talent wants more stacks in their mix, turn it up and vice versa. Second, you can solo, pan, mute, and blend the stacks independently in the Control Room and Studio. This allows the engineer to isolate parts to check for integrity without hearing the talent ask "hey, where did my part go?" Third, despite the independent control room and studio cue feeds, the pans are largely the same due to the FMP (follow main pan) settings built into the track sends. This means that if you adjust a pan in the Control Room, the talent hears the same thing. You can send your mix to the talent as you change it by using the Control + Option + H (Copy to Send) shortcut. With the faders and pans common to both mixes, there's no shock when the talent comes into the control room for a listen, the mixes are comparable. 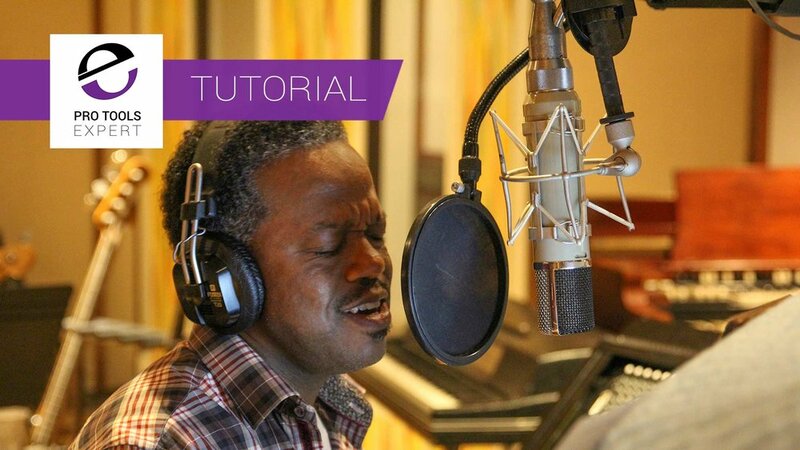 The two, downloadable Pro Tools template sessions are laid out to record stacks of anything using one, or two microphones. The templates are very small sessions so can be emailed or kept on a jump drive for quick access. The name says it all – Stack Template 1 x 6 would be used for stacking sources from one microphone six times, Stack Template 2 x 6 for stacking sources from two microphones six times. If you need more mics and stacks in the template, it's an easy matter to duplicate Source and Stack tracks to fit your workflow. Why stack six times? This is just a suggestion. Stacking in even numbers makes it easy to pan stacks across the stereo field when mixing. If you need more stacks, merely duplicate a pair of stacks and keep recording or if you don't need that many, delete the extras at the end of the session. When stacking vocals or guitar parts and the talent, or you, are creating elements on the fly, speed is of the essence. The less your creative spark gets caught up in the technology of recording, the more productive you can be. The templates eliminate the need to repeatedly put tracks in, and out of record and losing connection to the mix because you're always recording to the same track(s). Stacking comes when you decide a part is good enough to double and it's moved down to the next set of tracks. This is accomplished using keyboard focus shortcuts. First, select the clip you want to move with the Grabber tool. Then use Command + C to copy, then the semi-colon key to move the selection down to the next track and then press Command + V to copy. By taking the mouse largely out of play, you can develop a lot of speed when moving your clips around. Your live track(s) are always in record and input, so the talent only hears what's being recorded live, plus the stacked tracks. As a bonus, the stack tracks are pre-panned and instantly mixed as you go. When you're building an initial template for a recording session, or you need to stack into an existing session, start by using the Import Session Data shortcut to import the stack template of your choice (Option + Shift + I.) At the bottom of the Import Session Data pop-up, choose All in the Track Data to Import pulldown. Since there's no audio in the template, it doesn't matter how the Audio Media or Main Playlist Options sections are set. Hit OK.
Then change the Source mic in/outs and Aux Master outputs that best work with your setup. Do you have a stereo cue or multi-channel cue system? No problem, the templates work with any kind of setup.